Easy to mount - easy to direct the sound stage and well built - the only tweeters a big system needs! Rugged, powerful and with great high frequency extension. These tweeters are beasts! - Big and heavy, they feel as lound as they are! Amp Requirements: These tweeters are best amped on a traditional 2 Channel amp. 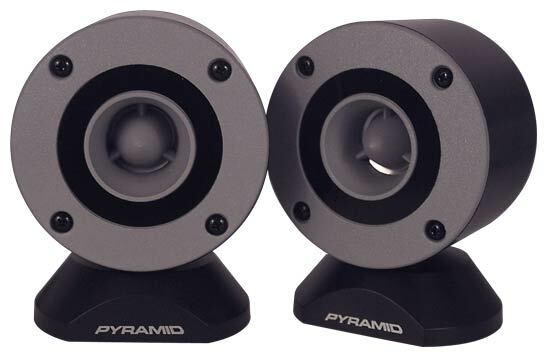 Minimum 50w RMS is advised - many people do not realise underpowering a speaker will kill it very quickly! It will run very happily on 100w RMS and will take up to 150w RMS without problem.